What Makes My Finger Joints Pop Lock and Catch? Arthritis is a common condition anyone may develop as they age. But if your fingers pop, click, catch and lock you may not be experiencing arthritis but trigger finger. Arthritis is a common condition most everyone understands they may develop as they age. The stiffening of joints being one of the most familiar symptoms gives reason to believe joint popping or catching is arthritis but quite the contrary. This frequent problem is not arthritis but one involving the hand causing locking, popping and clicking of a joint or joints of a finger or thumb. The medical term for this condition is stenosing tenosynovitis. The layman’s term is trigger finger. This ailment is not arthritis but inflammation of the tendon due to a narrowing of the tunnel or sheath of the tendon. Do I Have Trigger Finger? Anytime you flex or grasp with your hand or finger you straighten and release it, this process triggers two sets of tendons making it possible for the motion to occur. Trigger finger involves the tendons of the hand that are normally smooth bands running from the muscles in the forearm to the bones in your fingers. The path of the tendons is that of the tightened tunnels or the sheath due to inflammation mentioned earlier. The sheath is lubricated and keeps the tendons close to the bone making the movement more efficient and fluid. Trigger finger occurs when inflammation develops causing the tendon to enlarge therefore thickening and narrowing of the sheath. This is all located in the area of the palm. The pulley effect of the tendon is greatly impacted by the inflammation and narrowing of the sheath causing the catching, popping, locking and sometimes pain. The causes of trigger finger are overuse. 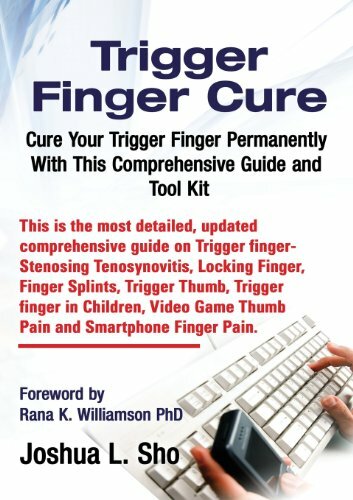 Some believe trigger finger is caused by over use, repetitive gripping, holding of utensils, tools or brushes or anything used for work or hobbies on a routine basis. The science community is researching connections to other illness that may make some more susceptible to it. The best way to treat trigger finger is with down time and some tender loving care. The optimal treatment is healing and prevention. Stop using the affected area allowing it to heal and preventing it from developing into a more painful and permanent condition. To avoid surgery decrease the activities you know to be causing it long enough to heal the inflammation. During the down time soak the affected area in warm water solutions, use over the counter anti-inflammatory medications and rubs, anything that help ease the discomfort and more importantly relieve inflammation allowing healing. Steroid injections are also an option. This process injects a small dose of anti-inflammatory cortisone into the problem area. 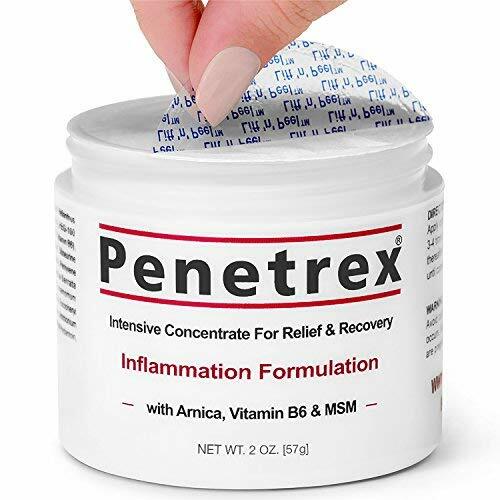 The cortisone shots reduce inflammation quickly reducing the swelling in the tendon sheath and often curing the problem without further reoccurrence. The success rate of cortisone injections is reported to be in and around 60%. Do You Believe Trigger Finger is Real? Is trigger finger a real medical condition or simply a form of arthritis? Arthritis and trigger finger are different, according to a few acquaintances of mine who have had one or the other. Thank you for the information and the product line. I have had 4 triggers successfully operated on now. It is uncomfortable but I am so glad that I did go ahead. I have been told by my consultant doctor that it happens because some people develop little nodules on the tendon in the palm and then the pain is in the finger joint although originating in the palm. MY cortisone injections only last me about 10 months at a time. I am about to have a fouth trigger finger operation before Christmas. I have been there and done that as they say. My doctor told me to avoid further complications I should let the ole bones rest and heal. I do believe trigger finger is real, but fortunately I don't have it and I don't know anyone else who has it. Have you mistaken trigger finger for arthritis? DerdriuMarriner, I experienced finger popping several years ago, it returns from time to time and I follow the guide her and eliminate it. katiem2, Thank you for the nice introduction to "trigger finger"! No, I don't have arthritis or trigger finger. Is it possible that popping knuckles increases the likelihood of both settling in? Veronica, Interesting, I bet your on to something. Frankbeswick, Mine did this for sometime, why I am not sure, it is very annoying and painful. i haven't had any more events for some time now. Thanks for this. In my case it was associated primarily with the use of the strimmer, a tool which the changes in the way in which I manage my allotment has rendered at least temporarily redundant. It was heavy and vibrated quite powerfully. What you say about genetics may be correct, as we share many genes. But your problems are far more serious than mine are , for you have had them worse and younger than I have had. For example,I have never needed an operation. I think that with me the problem is occasional and is due to the wear and tear that is linked with my being in the latter half of my sixties. Frank, our youngest brother, yours and mine has also had a trigger finger operation so I would think it is genetic in our immediate family. Having some down time, as you suggested, without too much gripping seems to have worked. I went to the doctor only last week with the symptoms that you describe? She thought that it might be osteoarthritis and had me X-rayed, results yet to be returned to me by post. I think that gripping my rather large strimmer has had a bad affect on my hand, but I also think that the joint pains indicate osteo-arthritis. I was advised to apply oils, and have chosen comfrey oil, which seems to be working. Vernonica, Interesting, you know it must be our work ethic. Irish people are known for working hard... Seriously, you make an interesting point. Yes I'm sure it was difficult for you. I was treated for arthritis to start with but then my fingers started to trigger. I do ask myself, you said you had Irish ancestry? Triggers are not unknown in people of Irish, Scandinavian descent. MY family have it too . I have had so many operations on them that an operation is considered the first line of treatment for me now.